George Glass – who holds leadership positions in the Student Association, Circle K, Colonial Army and Young Americans for Liberty – said GW may have more student organizations because students make up for a perceived lack of school spirit with increased involvement. GW has more than 500 student organizations and students said there is a need for every one of them. The University boasts about 540 active student organizations, the third-highest number of its peer institutions. 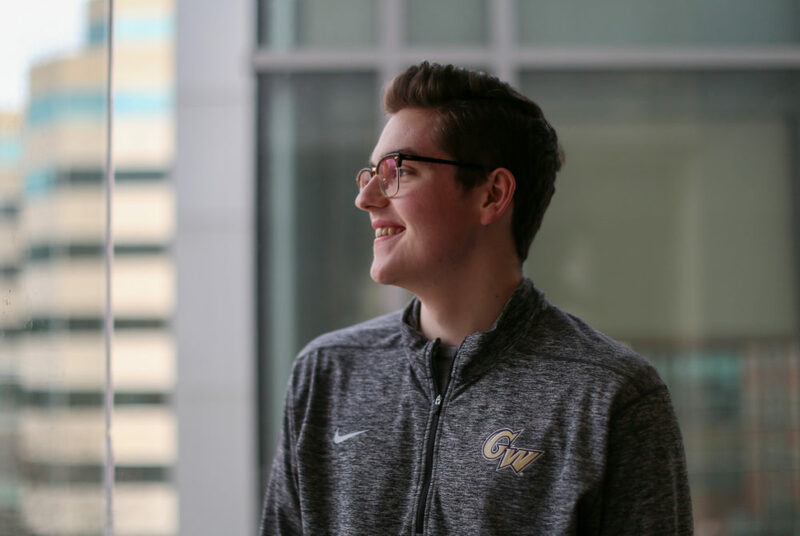 More than 10 student leaders said the relatively high number of organizations reflects the types of students who attend GW – those who want to be deeply involved in campus life and hold multiple leadership positions. The University has an average of 100 more student organizations than 10 of its peer institutions. Schools like Syracuse University and the University of Miami both have roughly 300 total student organizations, with total student populations of roughly 22,000 and 17,000, respectively. GW boasts about 28,000 total students, according to institutional data. The universities of Southern California and Pittsburgh have the two highest numbers of student organizations, with more than 1,000 and 600 groups, respectively. Georgetown and Tulane universities have the lowest number of student groups with about 200. The institutions have roughly 4,500 and 13,500 total students, respectively. Anne Graham, the assistant director of student involvement and Greek life, said student organizations are an “integral” part of campus because they host frequently attended events. The high volume of organizations also gives students more options to choose a group that fits their interests, she said. “Membership in student organizations fosters positive relationships, as well as positive feelings about the institution and educational experience,” she said in an email. Last semester, the University added at least five new student organizations, including the Black Law Student Association and TableTalk, a group that aims to bring students together and discuss uncomfortable political and social topics. Cole Perry, the chairman of the GW College Republicans and the former president of the Knights of Columbus, said the relatively high number of student organizations is a reflection of students’ “desire for leadership experience.” Holding a leadership position in a student organization is a stepping stone to a professional career outside of college, he said. “Being able to grow closer with a small group who shares your passions and interests is healthy in what otherwise may seem like a cutthroat city,” Perry said. But Ife Akinmade, the president of the African Student Association, said that while the number of student organizations can help create community, many replicate one another and are only sustained so students can claim more roles on their resumes. Student affairs experts said students can benefit from having many options because they can find a group to meet their interests on a large campus with many different types of students. Heather Seaman, the director of Tulane University’s student affairs office, said there is no “magic number” of student organizations that would be good or bad for campus life, but officials should ensure new organizations do not overlap with existing groups. She said students could feel isolated if they bounce around to different organizations without consistent events or meetings. The Center for Student Engagement mandated in 2016 that prospective student organizations meet with staff from the office to draft their constitution and present the group’s goals and plans to ensure they do not mirror existing organizations. “If a group has gone dormant, but they’re still listed, and a student approaches them and they never hear back, that leaves a sour taste in their mouth,” Seaman said. Kathy Arnett, the director of student organizations and programs at Wake Forest University, said if several student organizations are active and frequently host events, the University needs to provide students with enough funding and affordable rooms to ensure the group can sustain itself. She said officials could push similar student organizations to collaborate on events and build more community outside of one particular group.